For those that don't know, Larry's had a fire. Showroom took most of the damage. We will be having a benefit Poker Run for them. 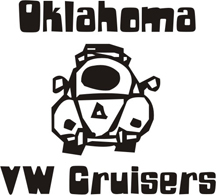 This will be a cruise style poker run. 1000. Parking lot by bridge at lake overholster just off.rt 66. $10 to play. Additional hands $5. 75/25 split, winner and Larry's. If anybody is early and hungry the "Cracked Egg Diner" is just west of Council road on the south side (Rtg 66/39th st) and is only a few hundred yards from the turn into the lake. Norman, the owner/cook, is VW friendly and has hosted several show and shines for charity that I've gone to. Good food at a good price and good people.